When my editor asked me to write a book of fun children devotionals for girls ages 6-9, I saw a perfect opportunity to help young ladies understand that God is their friend. They can get close to Jesus by using the special lessons Jesus taught His friends, the disciples. That’s why I build the devotionals around the Lord’s Prayer. Along the way, girls could discover who God is: He is your Father. Your King. Your Provider. He is someone girls can always count on and He wants to teach them how to love others the way He loves them. I knew that God & Me! 3 (ages 6-9) would be part of a series of children devotionals, but didn’t know then that the book and series would become an iParenting media award winner … and a best-seller. How cool that so many girls are growing closer to God by getting in the habit of doing daily devotionals. There are more than 100 devos in God & Me! 3. Each one is based on a key Bible verse, followed by a short devotional or story that shows that the Bible principle looks like in a girl’s life. Then she has the chance to talk about the idea (on paper or with a grown-up) and pray about it. Each devo also includes an activity to reinforce the point, such as a fun crafts, drawing, cool projects, Bible puzzles, word searches, quizzes – even recipes. The book shows girls that their struggles are real and there are practical answers to important girl issues, like jealousy, peer pressure, and gossip. The book features fun crafts, journaling space, and activities that girls love. It’s got a colorful, magazine-style format that’s easy to follow. The book shows girls that they’re not alone. God & Me! 3 (Ages 6-9) was first published by Legacy Press, a publishing house which was later purchased by Rose Publishing. The book was re-released under the RoseKidz imprint in 2016. 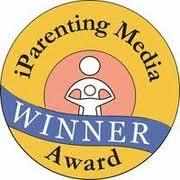 It’s part of the award-winning God & Me! series of children devotionals. Well, that’s awesome. What an encouragement! 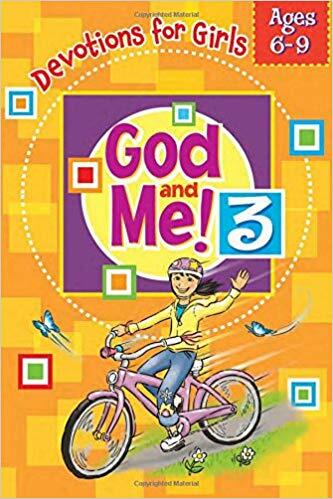 See more about God & Me! 3 (Ages 6-9).